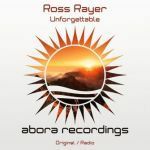 Abora brings you the first release on its new orchestral uplifting sublabel Abora Skies..... and it's a special one! SoundLift returns with a very special track, called Freedom. It's a track that appeals to those who like cinematic scores with beautiful melodies and those who like trance music. The track — which won the FF vote on Armin van Buuren's ASOT — starts with a smooth-yet-very-energetic groove, with a cello playing, and it slowly approaches the break, where you can hear the orchestra playing as in a movie. The track keeps building with beautiful melodies and gorgeous pads, keeping the listener interested in what comes next. And after the main melody, the melodies from the breakdown return, giving it a heavenly feeling and a feeling of freedom. 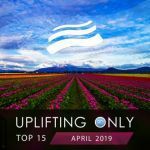 Supported by: Armin van Buuren (Winner of the Future Favorite vote for ASOT 623), Ori Uplift (Winner of the Fan Favorite vote for UpOnly 024), and many more!